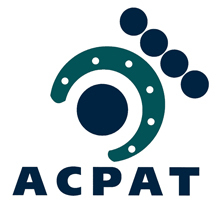 As a member of The Association of Chartered Physiotherapists in Animal Therapy (ACPAT) you can benefit from our bespoke professional liability insurance scheme, designed specifically for physiotherapists in animal therapy. This cover provides Medical and Professional Liability Insurance to protect members against claims for wrongful advice or treatments arising from your work as an animal physiotherapist. This cover does not include Public Liability Insurance, as this is provided separately as part of CSP membership insurance. Students (Cat B Members) must be under the supervision of a qualified member (Cat A) or Veterinary Surgeon. The policy is underwritten by AXA Insurance UK plc and covers all previous work of a similar nature, subject to members becoming aware of and reporting any new claims for the first time during the currency of this policy. When members cease to practice the policy will automatically provide run off cover for up to 3 years at no extra cost. Options include Employers Liability insurance in respect of students or employees in your care and corporate entity cover where services are delivered through a Partnership or Private Limited Company. Members may purchase separate insurance to cover healthcare work outside their Animal Physiotherapy Scope of Practice.